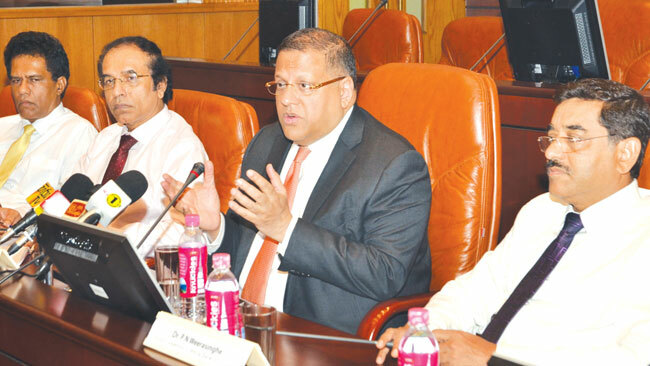 The Central Bank (CB) will introduce five separate units to rural areas in a bid to fund micro sector entrepreneurs, Central Bank Governor Arjuna Mahendran said. Speaking at the Central Bank he said that the rural sector should have more credit facilities and this unit will be created to simplify lending. "We are also requesting banks to open up branches in rural areas in a bid to provide more credit facilities to the micro sector." He said that the rural sector could have better returns by investing in the agricultural sector and the government would talk to Super Market chains to have better buy back programs from farmers offering better rates for their produce. "We have also observed that some of the foreign based agricultural firms like US-based multinational food firm Dole are keen to expand in Sri Lanka and we must try to offer them idling government land on long term lease. Similarly government idling land should be offered to local entrepreneurs as well,"Mahendran said. He said that they have also talked to the World Food Organisation (FAO) and have requested them to set up a few model farms in Sri Lanka whereby Sri Lankans could be advised on modern farming techniques and ways and means of producing high yielding produce. The Governor said that Sri Lanka saved around US$ 2.7 billion from the lowering of oil prices last year but they had to use these savings to off set capital outflows. He said that the government also received sizable foreign capital till 2014 but they narrowed drastically last year. "This is due to the US dollar getting stronger and foreign capital being taken back. To stop this outflow we had to offer higher interest." Asked why the stock market was not performing up to expectations despite a strong credit growth last year he said that it was mainly due to generalised selling in many emerging stock markets which was a major issue. "The lowering of oil prices and also the Chinese factor too contributed towards this," the Governor said. He said that though the declining oil prices were an advantage for countries like Sri Lanka a lot of Middle Eastern country's wealth and sovereign funds had to be liquidated to finance ongoing huge infrastructure and development projects.
" Due to this there is a lot of post selling occurring in most of emerging markets to sustain projects which were under taken when the prices were high particularly by middle eastern countries ," he said. He also said that the Chinese banks have also cut lending and there are issued in the US as well. The Governor said that the prices of tea and rubber in the global markets have dropped and even the New Zealand Prime Minister John Key has told him that the prices of global milk too have seen a drop . "All these are interrelated," the Central Bank Chief said. Sri Lanka's exports fell 5.6 percent from a year earlier to 10,504 million dollars and imports fell 2.5 percent to 18.9 billion US dollars, with the trade gap rising marginally to 8,430 million US dollars. Tourists earning showed a major increase while motor vehicles imports saw a dip along with worker remittances which fell 0.5% which is very alarming.